The Toyota Innova—a compact multi-purpose vehicle (MPV) that’s a favorite of drivers in India—has been around since 2004 and is still in its first generation. 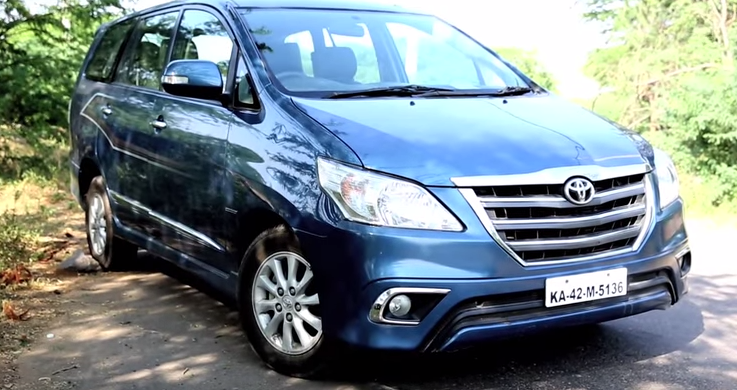 This is all set to change soon, however, as the next-gen 2016 Innova is scheduled to debut sometime before the end of the year. Details on the new model’s reveal haven’t been disclosed, but it’s expected to be revealed at the Jakarta Auto Show, which runs from October 28th through November 1st. We can expect the new model to have improved safety features and a more spacious third row, among other things. Engine-wise, it’ll likely be powered by a 2.4- or 2.5-liter diesel engine mated to a choice between a six-speed manual and six-speed automatic transmission. Looks-wise, the Innova will likely have a larger front grille, updated bumpers, LED daytime running lights, dual-tone patterns, an updated steering wheel, and a touchscreen head unit. Following its debut, the 2016 should go on sale in summer 2016 in markets such as India.